Welcome to the new online home of Regenstrief Institute. 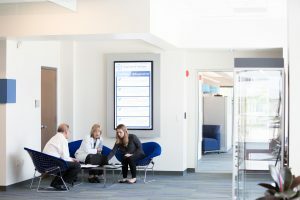 We invite you to learn about a place where for over 45 years, people from disciplines have come together to create pathways to better health through healthcare research, infrastructure and systems innovation, and education and knowledge-sharing. Data and technology may be our tools, but caring for people inspires our mission. Learn about us. Contact us. Join us. Thank you for your visit.